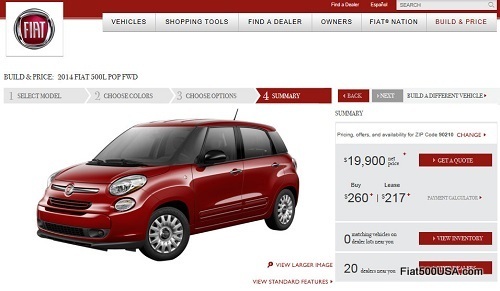 The Fiat 500L configurator has been posted on the Fiat USA website. The configurator allows you to find the exact 500L for your lifestyle - from the stylish Pop to the rugged Trekking. 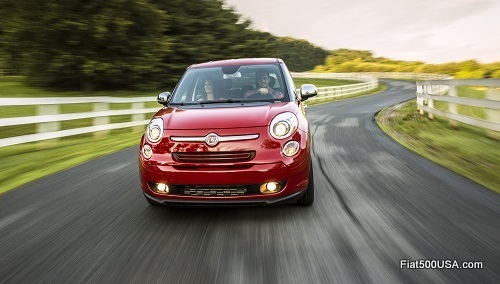 The Fiat 500L started arriving at Fiat Studios earlier this month and has already been doing a brisk business. With best in class leg, head and shoulder room including rear cargo space, the Fiat 500L offers a unique European experience in a segment filled with the usual bland offerings.